2018 – This year was especially fun starting out with a road trip to the east coast with my hubby, my sister and her guy. 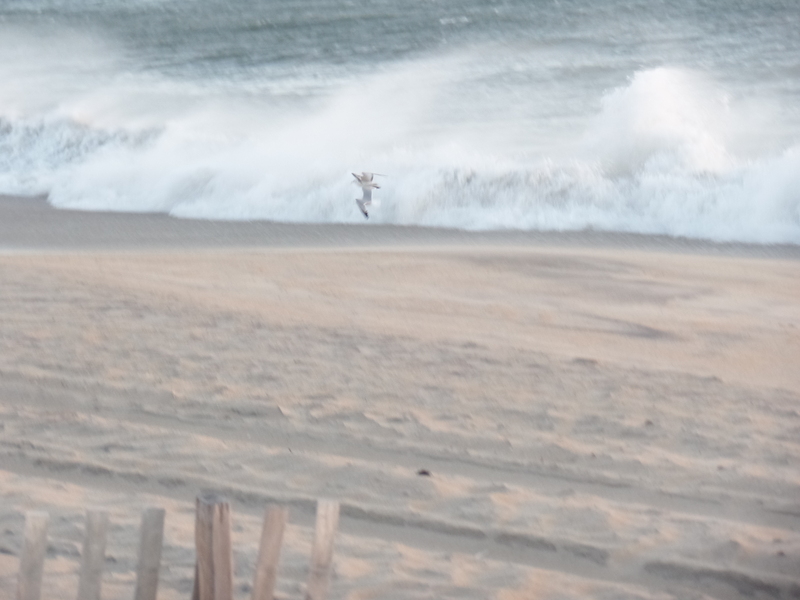 She caught this image along the Outer Banks and we are all quite sure it is definitely a mermaid! Nice catch of the day Sis! Who said driving through Montana in the winter is all bad…these beautiful works of art by Jim Dolan called “Bleu Horses” guarantee to please the eye on your way to or from Townsend, MT. It takes some convincing just to believe they are not real! Feeling cramped for space in your home? Time to rethink our use of space and how much we may have compared to the rest of the world. The world’s tiniest apartments is a real eye-opener. Time to be grateful! Montana by sidecar in the snow! Sept. 15, 2017 – Sam and I returned to Helena after a trip up the east coast on his Indian w/Sidecar. We came up from Wyoming through West Yellowstone and hit snow along the way! Early snow for September and although it was tolerable…it was crisp! Still a blast! See Video: Riding in the Snow! It can be daunting when establishing one’s home away from the typical services associated with city life. You become viewed as a greater risk to insurance companies as well as other entities such as rural fire departments and police protective services. And in reality you probably are a greater risk. However that is why it’s most important to be sure you are well informed of the environment you are now becoming cohesive with and do your homework before you make the move. One example is homeowners insurance. 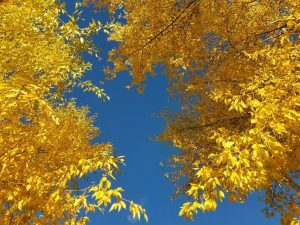 Can you afford the risk of losing it all? Do you need the reassurance that if things go terribly wrong that you can afford to pick up and do it all again without the aid of insurance? You must consider that a home that does not carry home owners insurance also may be turned down in the future by insurers due that fact alone, should you decide in the future to add the insurance. Another issue is when you decide to sell your home and the banks won’t loan on a home that cannot be insured due to lack of past insurance history. So be sure that you are in the know about how insurance and lack of insurance can affect the value and other aspects of your home. Insurance for off-the-grid – Here is an article about considerations and complications of insuring a home that is off the grid. Happy New Year! It’s a great time to shop for that new home in Montana, Call Me! 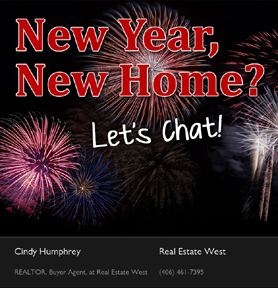 Give me a call or email/text to schedule an informal conversation about what a good buyer agent can do for you. Let’s put you in the best position from the beginning to bring you to a successful purchase in the end! Wishing you the best in 2017. According to our local MLS market statistics for In- town Helena, Helena Valley, East Helena and Clancy the average sale price of homes was $248,709 for the month of November, 2016. Personally I’ve seen a significant surge in competitiveness for buyers, especially in the $200,000 and below range. As a buyer agent it is imperative that clients are aware of the market we have here in Helena and understand the need to be in the best form possible… long before shopping for homes. If you need info on how to prepare for the market challenges we have on a local level feel free to stop by for a free consultation. You will be a much wiser shopper when you get out there and see for yourself the challenges and obstacles you can easily avoid! Seasons in Montana are spectacular! 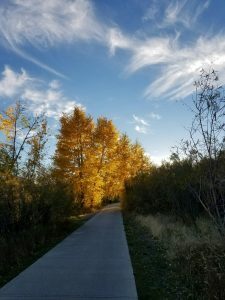 Fall in Montana – Take time and Enjoy! 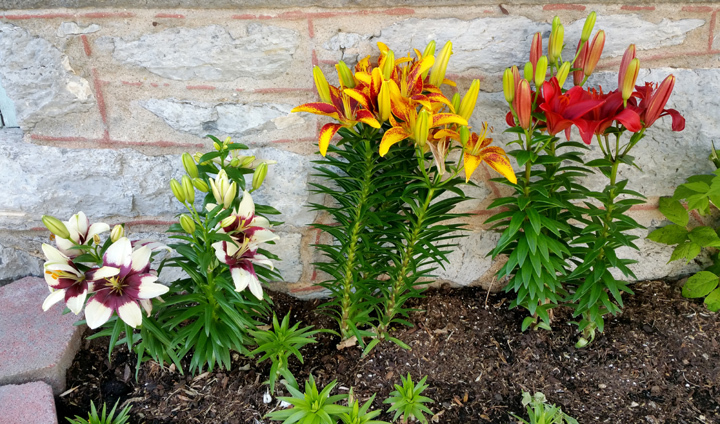 If the deer don’t eat them, we’ll be enjoying full color in the flowerbeds this year!